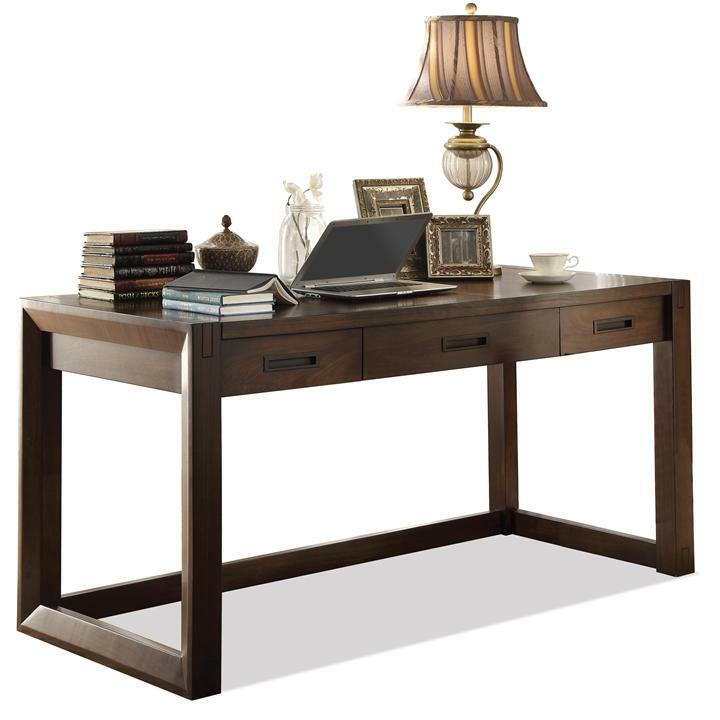 Create a sleek and contemporary office with the Writing Desk. 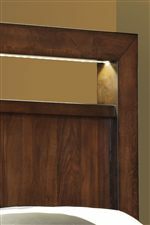 The square lines with beveled edges are smooth and simple. 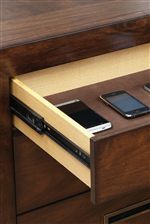 The desk features a center drop-front drawer with an electric outlet bar and removable pencil tray. There are two drawers on either side giving you room room store your office supplies. The Riata Contemporary Writing Desk by Riverside Furniture at Colder's Furniture and Appliance in the Milwaukee, West Allis, Oak Creek, Delafield, Grafton, and Waukesha, WI area. Product availability may vary. Contact us for the most current availability on this product. 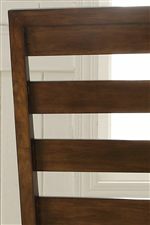 The Riata collection is a great option if you are looking for Contemporary furniture in the Milwaukee, West Allis, Oak Creek, Delafield, Grafton, and Waukesha, WI area. Browse other items in the Riata collection from Colder's Furniture and Appliance in the Milwaukee, West Allis, Oak Creek, Delafield, Grafton, and Waukesha, WI area.